Almost 8,000 cases of alleged abuse or neglect of adults were reported to the HSE in 2016 – the first-time annual figures for reported abuse of adults have been recorded. The figures record instances of alleged abuses or neglect of adults reported to the HSE and the main categories experienced were physical, psychological, financial abuse and neglect. Of the 7,884 concerns reported, the most common type among 18-64 years olds was physical 48%, psychological 24% and sexual abuse 11%. Among people over 65s psychological abuse was highest at 27%, followed by physical abuse 22% and financial abuse 21%. The figures were announced as the National Safeguarding Committee (NSC) has begun a nationwide campaign to increase public understanding of what constitutes abuse or neglect of vulnerable adults – and the need for greater awareness, policy and legal frameworks to safeguard vulnerable adults. Vulnerable adults include people living with dementia, mental health problems, physical disability or intellectual disability. The most likely source for reporting cases to the HSE was from a representative voluntary agency 38% with 26% through general or public health nurses. Just 2% of cases were self-reported and 4% by families. National Safeguarding Committee Chairperson Patricia Rickard Clarke said the HSE figures showed a worrying prevalence of adult abuse and a need for greater public awareness. “There is a lack of public understanding as to what actually constitutes abuse and what safeguarding means for vulnerable adults who are those most at risk. This is shown in that families and individuals reported relatively few cases. 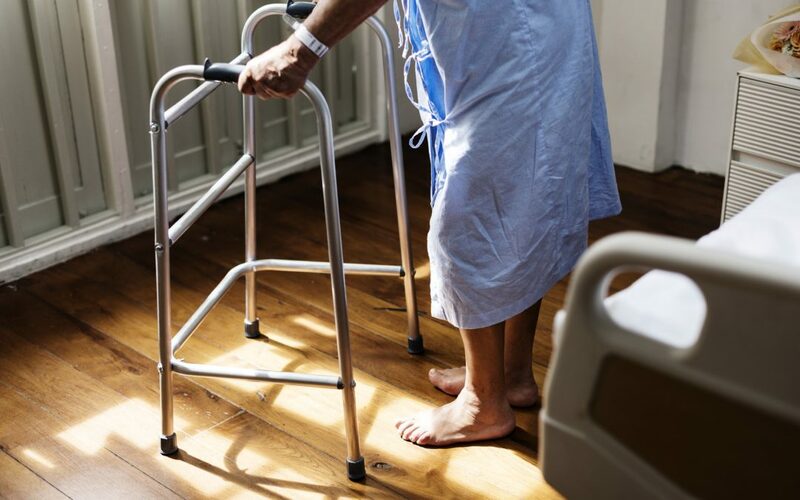 “This aim of the National Safeguarding Committee campaign is to show that taking money to cover care expenses without a person’s knowledge, over medicating, or locking someone in a room while going out is not OK. These are abuses of people’s liberties and rights – including vulnerable people who lack capacity. “A particular area of concern is financial abuse. I believe that these figures are just the tip of the iceberg. Once permission to manage a vulnerable person’s money is handed over to someone else, there is no monitoring as to how that money is then spent and allocated. The majority of people are honourable, but figures suggest that in up to 20% of cases financial abuse occurs. “The Department of Social Protection is currently looking at how to tackle financial abuse which is to be welcomed. We need a transparent tracking system which accounts for the uses of the finances of people who have reduced capacity,” she said. General Manager of the HSE National Safeguarding Office Tim Hanly said: “The figures announced today provide a reference point, but with expanded referral and reporting infrastructure currently being established, the HSE would expect that the number of adult abuse cases reported will greatly increase, particularly with regard to the financial abuse of older people. A dedicated support number has been established by the HSE National Safeguarding Office at (061) 461 358 which the public can call for advice and to get signposted to appropriate services. The National Safeguarding Office works with nine HSE safeguarding teams across the country which record and investigate alleged cases. Members of the public are encouraged to contact the teams with any concerns. Physical abuse of vulnerable adults has been witnessed/suspected by 1 in 3 adults, very often in the home. Over 1 in 3 has experienced emotional abuse. Almost 2 in 5 (38%) think vulnerable adults are badly treated. One in three believes vulnerable adult abuse to be widespread. There is significant public concern about the need to safeguard those who are limited in their ability to protect themselves. The National Safeguarding Committee (NSC) is a multi-agency and inter-sectoral body with an independent chair. It was established by the HSE (but independent of it) in December 2014 in recognition of the fact that safeguarding vulnerable people from abuse is a matter that cannot be addressed by any one agency working in isolation, but rather by a number of agencies and individuals working collaboratively with a common goal. The NSC brings together key players in public services, legal and financial services, the health and social care professions, regulatory authorities and NGOs representing older people, people with disabilities and carers. All have come together with one objective in mind – to ensure that adults who may be vulnerable are safeguarded. Patricia Rickard-Clarke (Independent Chair); Active Retirement Ireland; Age Action, Alzheimer’s Society of Ireland; Banking and Payment Federation Ireland; Chartered Accountants of Ireland; College of Psychiatrists; National Office for the Prevention of Domestic, Sexual and Gender-based Violence; Department of Health, Department of Social Protection; Disability Federation of Ireland; Family Carers Ireland; Garda Síochana; Health Information and Quality Authority; HSE; Irish Congress of Trade Unions; Inclusion Ireland; Irish College of General Practitioners; Law Society; MABS; Mental Health Commission; National Federation of Voluntary Bodies; Royal College of Physicians Ireland and SAGE (Support and Advocacy Service).